Facebook is, by far, the largest and most popular social networking site on the Internet today. When people meet each other they often friend each other on Facebook, even before exchanging phone numbers. As a business owner, it’s your job to stay on the cutting edge and attract as many customers as possible. Facebook presents a brilliant opportunity to draw in customers, if you know how to exploit it without resorting to spam. Your business definitely needs to have a presence on Facebook – and not just any old business page. If you want to succeed on social networking sites like Facebook, you really need to stand out. This is where finding a great Facebook restaurant template comes into play. 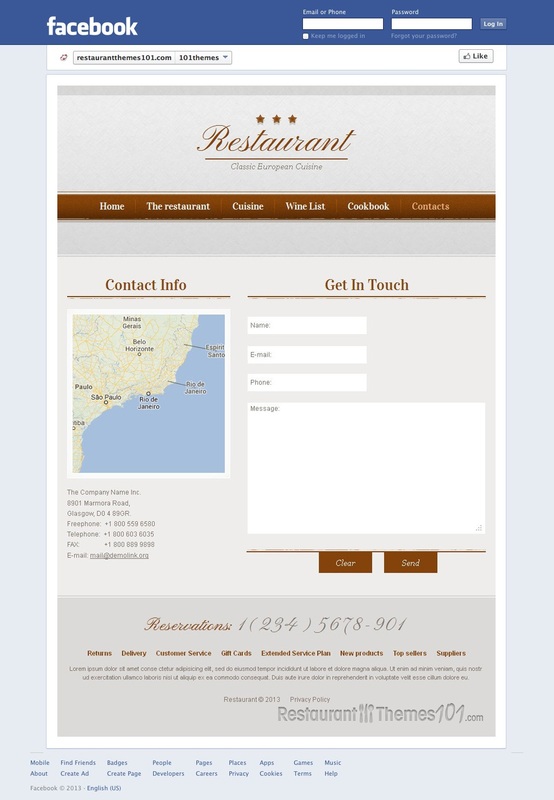 A new template from developer Mercury, available through the Template Monster marketplace and simply titled “Restaurant”, is a great option. 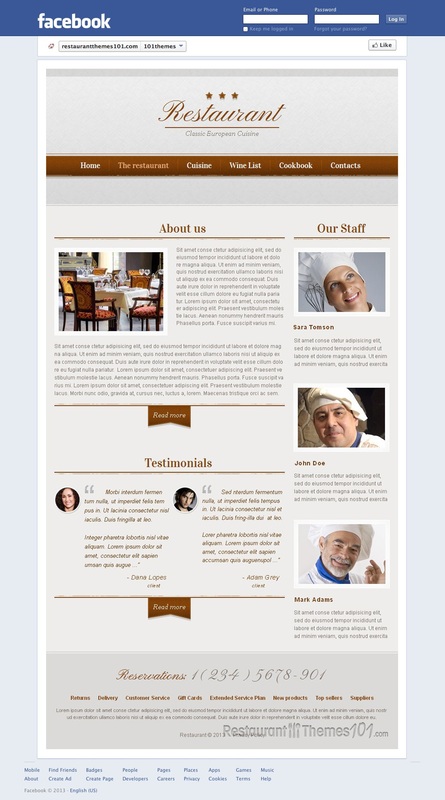 This template uses advanced HTML programming and a sleek, user-friendly CMS to offer you a professional looking website with very little effort. 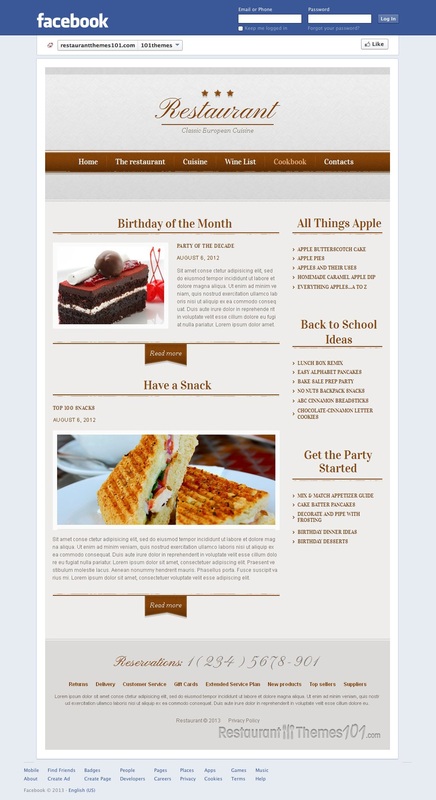 With the help of this template, you can easily create a professional looking Facebook page which is essentially its own website. Everything is controlled on your end from Moto CMS, which is widely considered to be one of the best content management systems out there. While not as popular as WordPress, Moto CMS is very feature-rich and is gaining popularity very quickly. Moto CMS makes building, customizing, and updating your page a breeze! The design of Restaurant is simple yet elegant. 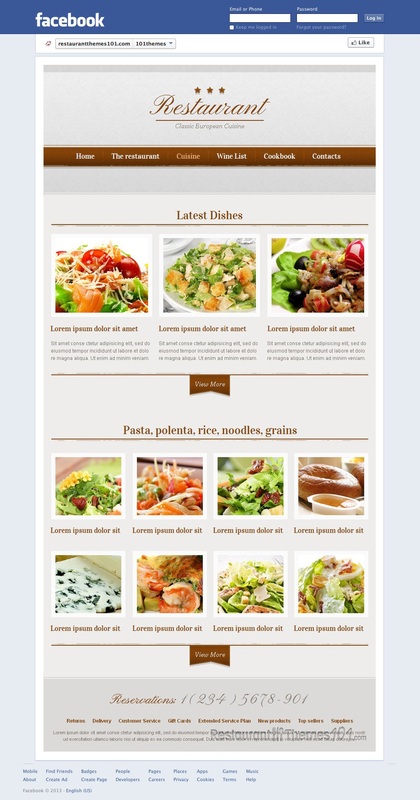 It uses a simplistic layout to highlight a massive image slider that occupies the prime real estate of the page. 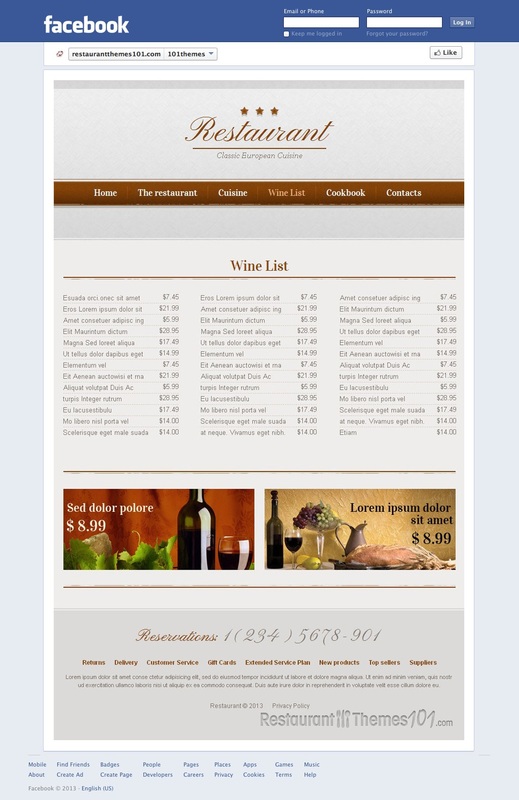 This is a great place to put pictures of your menu items, your restaurant, or even your menu itself. 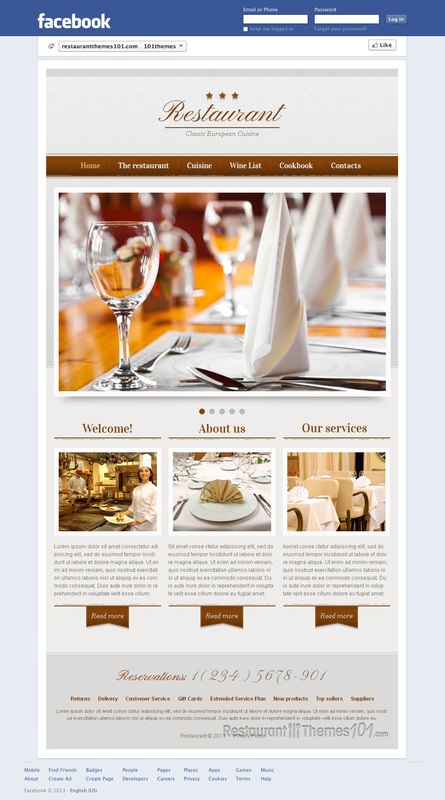 Below the slider is space for 3 thumbnail images with descriptions – a perfect place to put your menu, about us page, contact information, etc. And of course, all of this is customizable through the user-friendly Moto CMS!